MIK5083 Cover cap for 5,5mm gold connector, neon-yellow pictures and photos for reference only. ..
MIK5084 Cover cap for 5,5mm gold connector, red pictures and photos for reference only. ..
MIK5085 Cover cap for 5,5mm gold connector, black pictures and photos for reference only. 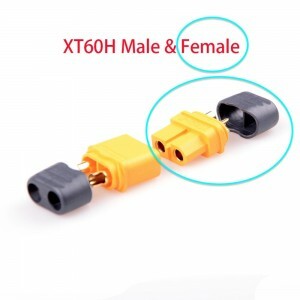 ..
XT60H-Y AMASS CONNECTOR Female (1 PC) pictures and photos for reference only. ..
XT60H-Y AMASS CONNECTOR Male (1 PC) pictures and photos for reference only. ..
XT90-Y-F AMASS CONNECTOR Female (1 PC) pictures and photos for reference only. ..
XT90-Y-M AMASS CONNECTOR Male (1 PC) pictures and photos for reference only. ..